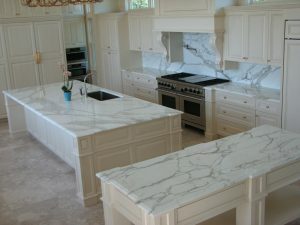 The word Calacatta has become synonymous with Luxury, Elegance and Drama. It’s crisp white “field” lays backdrop to bold, dramatic veins, ranging in color from brown/tan to grey and gold. Calacatta is quarried from the Apuan Mountain Range in the region Carrara, Italy. 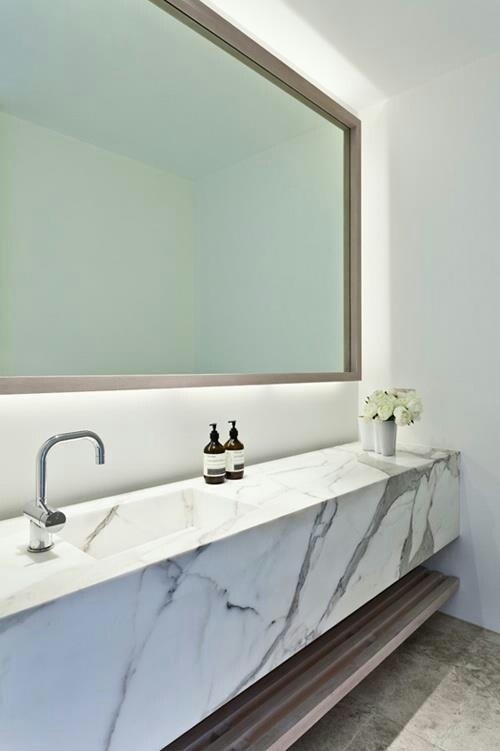 There are three major white marbles quarried out of Carrara, Italy; Bianco Carrara, Statuario and Calacatta. What are the differences? 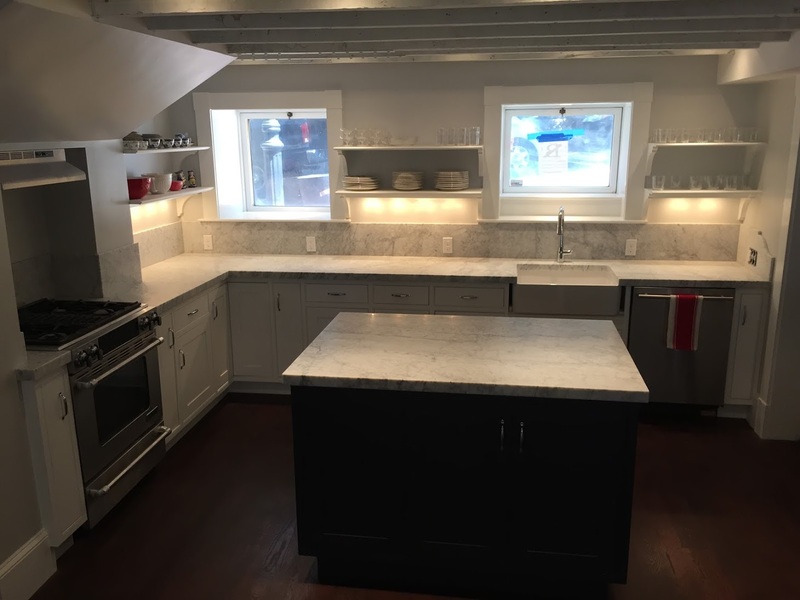 Carrara is widely available and often a go-to for the client who’s looking for something with a little bit of an old soul. We often think of Carrara as a staple in European/ Old World kitchen design. It has a lived in, casual elegance that ages so nicely. It’s grey “field” with light grey veining has little color variation, making it a good “neutral”. It’s considered reasonably priced for clients who are watching the bottom line. Statuario has the same crisp white “field” as the Calacatta but the veining stays within the grey family. The veins are usually bold and thick. This marble gets it’s name from the many statues it has been used to create. 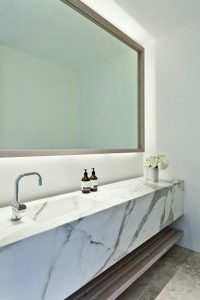 Statuario is on the high-end of the cost spectrum and is just as coveted as Calacatta. 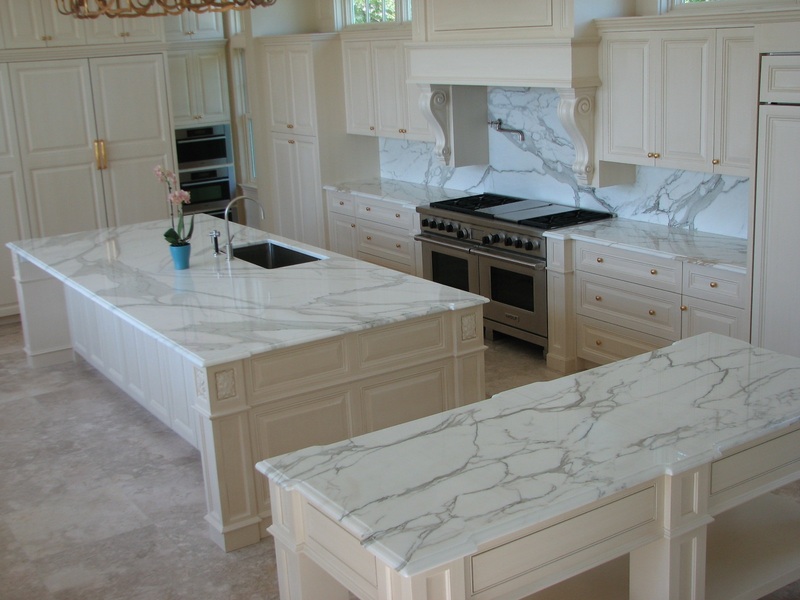 Calacatta is currently considered the most coveted marble on the market. The supply, demand and beauty determines the cost of this stone. It’s often imitated in quartz lines and it’s name is even applied to other stones in order to garner a higher price. There is only one place the true Calacatta is quarried, Italy. One of the biggest benefits to using a natural stone in your space is that every single piece of stone is different from the next. Marble gets better with age, developing a patina only years of use can create. There isn’t a huge difference in the chemical make-up of these three stones, however they look different from each other. Each slab should be selected or approved by the client to ensure 100% satisfaction.